Researchers from the University of Sydney, CSIRO, the United Kingdom's John Innes Centre, Limagrain UK and the National Institute of Agricultural Botany (NIAB) have isolated the first major resistance genes against the detrimental stripe rust disease that is devastating wheat crops worldwide. The discovery by the scientists, who have cloned three related rust resistance genes—called Yr7, Yr5, and YrSP—will enable these important genes to be accurately monitored and integrated into breeding programs in the fight against ever-changing pathogens that could kill about 70 percent or more of whole wheat crops at a time. Wheat is relied on by more than one-third of the world's population and one of the most economically important staple foods. 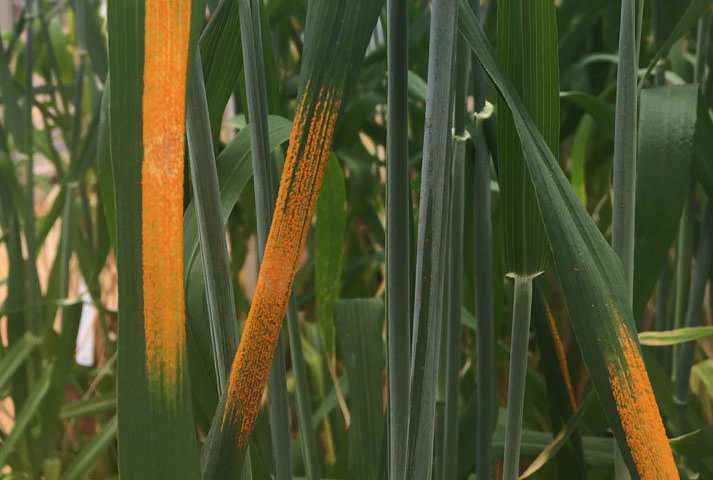 Wheat rust is one of the most widespread and devastating diseases and stripe rust—which is bright yellow and shaped as stripes—is the most problematic of these pathogens worldwide because it easily adapts to different climates and environments, and there are not many effective genes that breeders can use in their varieties. The characterisation of these three genes was made possible in a short period of time because of improving technology and the collaboration led out of Australia and the UK. The University of Sydney's cereal rust research team under the directorship of Prof Robert Park—a world-leader in wheat rust research—created mutation populations in 2015 and identified mutants for each gene, while unknowingly in parallel, scientists in the UK were working on two of the genes. They found out about each other's work at an international conference (the 13th International Wheat Genetics Symposium) in April 2017 and started collaborating. The findings are published today in Nature Plants. Co-author from the University of Sydney Dr. Peng Zhang said this research was a major contribution to our understanding of the immune receptor protein class of resistance genes in wheat; despite very similar gene structure, each gene confers a distinct and unique recognition specificity to the stripe rust pathogen. "This work finally resolved the relationships between these three genes and had provided an answer to a question that is more than 30-year-old," she said. "Our work represents the first authenticated molecular isolation of major resistance genes against stripe rust." The two lead authors are Ph.D. students: Ms Jianping Zhang (co-supervised by Prof Robert Park and Dr. Peng Zhang from Sydney's School of Life and Environmental Sciences and Dr. Evans Lagudah from CSIRO) and Ms Clemence Marchal from John Innes Centre, UK. Ph.D. candidate Ms Zhang said that until recently, it would take many years to clone a resistance gene from wheat. "With the advances in mutational genomics, sequencing and cloning technologies, we were able to clone all three genes within a relatively short period of time," said Ms Zhang, who is a member of the Sydney Institute of Agriculture and the Plant Breeding Institute at Cobbitty and conducting her research at both the University of Sydney and CSIRO. "Now we have a thorough understanding of the gene structure and the relationships between these three important genes." Dr. Zhang said the breakthrough could also make possible the editing of genes rendered ineffective to the rust pathogen, in order to try to switch on their effectiveness again, as a way of protecting against rust pathogens while minimising the use of fungicide. All this work is only possible after we isolate more genes and have a better understanding on their architectures and functions. 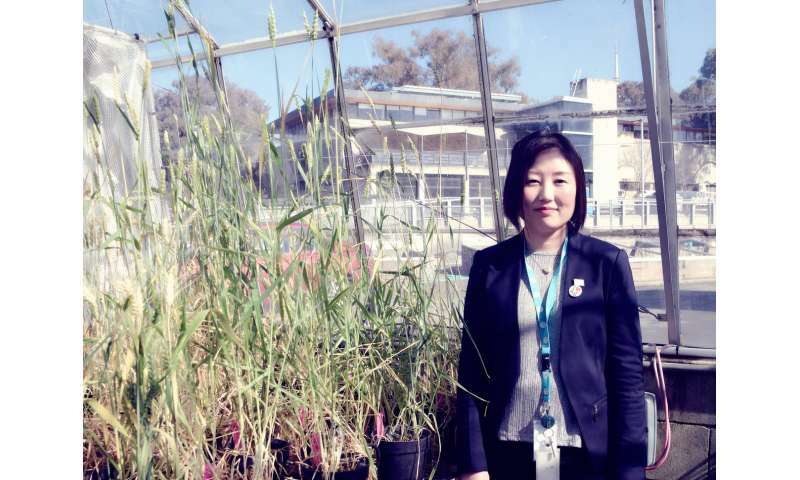 "Diagnostic markers have been developed so that these genes can be utilised promptly in wheat breeding programs around the world," she concluded. "In addition, the cloning and functional analysis of these genes could lead to novel control strategies in the future."